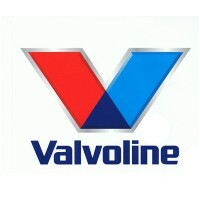 Valvoline is a global producer of lubricants for the automotive and commercial sector. Throughout the years, it expanded its line and includes services like an oil change, engine cleaning, and radiator service to name a few. Dr. John Ellis started Valvoline in 1866. Ellis trademarked the name in 1873 and continued to create more products for the market to bring only high-quality oils. For over 150 years, the company operates more than 1,000 branches in over 140 countries. The firm employs about 6,000 people to operate its business around the world. An employee will gain from benefit packages after 90 days of working in the company. Employment rewards comprise of life, dental, and vision plans, along with an impressive 401k retirement plan. Paid leaves and employee assistance programs are also available. Company staff enjoys working at the firm because it cultivates a friendly learning atmosphere between managers and personnel. There are great benefits in store for full-time employees and enough room for them to grow. How old do you have to be to work at Valvoline? Job hopefuls should be at least 18 years old to apply with little to no experience necessary. The company has 270 hours of technician training and mentorship for entry-level employees to grow as management leaders in a couple of years. The firm has various positions for first-time applicants. Careers include lab technician, sales representative, and product line associates. They hire job seekers in various departments such as corporate, supply chain, marketing, and R&D. Inventory Control Clerk: An inventory clerk’s main tasks include maintaining inventory lists, checking product codes and processing of shipping orders. They collect and record data in an information system management software to identify discrepancies and come up with innovative solutions to the problem. Lab Technician: A lab technician works with the product line and performs a series of tests to ensure its optimal performance. People in this line collect samples of chemicals and lubricants and evaluate them. The person maintains test supplies and equipment by troubleshooting faulty technicalities. The company gives training programs that promote employees to managerial positions within the firm. Product Line Associate: Employees work in creating the company’s product by operating, loading, and assembly of the item. Some tasks include pouring of materials and chemicals into machines, regulating machine pressure, and placing ingredients into the equipment for processing. They also perform ad hoc tasks like documentation and inspection of products. Maintenance Technician: Maintenance Technicians perform scheduled repair of production equipment and troubleshoot faulty gears. They often detect defective mechanisms and report to the supervisor about the defects for necessary actions. Technicians use various power tools and may perform plumbing or carpentry. Company Driver: Drivers pack and load products in the vehicle according to the company’s standard procedures. They maintain communication with the route dispatcher to ensure delivery of goods to the customer. Drivers make regular maintenance on the vehicle and report of any defective mechanisms. Sales Representatives: They sell the company’s products to the customers and assist them in their concerns. Sales representatives work to find new customers and improve relationships between existing ones. They have great communication skills and knowledgeable of the company’s product lines. Cashier: They handle cash transactions with clients and customers. Cashiers collect payments and scan the items before issuing receipts. They also redeem and offer coupons or discounts upon transaction. They count and credit the remaining cash before leaving the establishment. Virtual Call Agent: They support the company’s technical and customer service. Call agents assist the customers in their online purchases and update them of their account status. They listen to the client’s problems and find solutions for their concerns. They also answer any inquiry that the customer may have about the products and services. Administrative Assistant: An admin assistant provides clerical work for the company. They record, document, and create memos or letters for the company’s directives. Other responsibilities include faxing, calling, and emailing of documents for managerial perusal. They also assist customers in their problems and find appropriate solutions for their concerns. Accounting Assistant: Accounting assistants help finance officers with payroll and crediting of accounts. Their tasks include typing, bookkeeping, and managing of petty cash transactions. They help in calculating the budget to make sure its records are correct and find solutions for discrepancies found. Job seekers can submit their CVs to the Human Resource Department of any Valvoline store. One can also submit an online application at the company’s webpage or to other accredited third party websites. Applicants can visit the website to sign up and create their profiles. Job seekers will have to upload their CVs and apply for the vacant position they desire. When filing online application forms, fill all of the required fields and input your most valuable answer. Aside from your resume, upload your portfolio, cover letter, or recommendation memos to improve your chances of getting hired. When submitting a resume, keep it short and simple—one page, if possible. Always place your most recent learned skills and experiences at the top. If you’re shortlisted for an interview study the company and know how you can offer your skills to them. List questions the interviewer will ask you and answer them. When choosing outfits, select business casual attire with neutral tones. The company supports employees in their training. There’s enough professional communication between managers and employees to ensure a healthy working environment. The company is an equal opportunity employer and will not tolerate abuse or harassment against gender or race. The firm introduced another product line for multiple engine types. Named as the Premium Blue One Solution, it hopes to consolidate oil purchases and lower chances of misapplication of the wrong oil in engines. The company is popular for its lubricants for the automotive and manufacturing industries. They offer products like motor oils, transmission items, and grease and gears. Valvoline is active in reducing carbon footprints within the community to lessen harmful environmental impacts. They also do employee volunteerism and offer financial support for health and human-related causes. Their active recruitment program opens opportunities for a diverse workplace. 1 How old do you have to be to work at Valvoline?